If you’re a beginner scrapbooker looking for creative scrapbooking furniture to store your supplies in an organized way, read on for some great ideas. 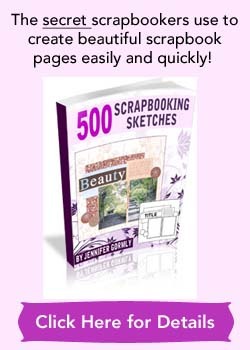 Don’t you feel frustrated when you’re all geared up to scrapbook and you can’t find your scrapbook supplies? Isn’t it a headache to spend long minutes hunting for specific items you needed? You can become more efficient with scrapbooking by having a few selected pieces of scrapbook furniture that cleverly house your scrapbook supplies in an organized manner. 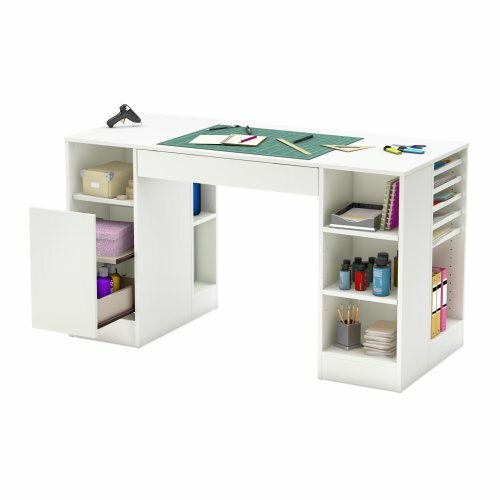 If you’ve decided to get a proper craft desk that comes with some storage space, you have to look at this beautiful desk which is inspired by scrapbookers’ needs. The challenge though, would be the assembly of this desk. Otherwise, the reviews have been great and people are loving the way they can scrapbook at the table and have their scrapbook supplies close at hand. Looking for a way to house most of your scrapbook supplies at one place? Rolling carts can help you keep your scrapbook supplies well organized, in one place. And with rollers, you can wheel them around the house especially if you don’t have a fixed place to do your scrapbooking. Some of these organizer carts are big enough to hold your 12″x12″ scrapbook paper but do check out the the product dimensions for confirmation. You can put labels on the drawers to help you find your supplies faster. On the other hand, the frosted or translucent drawers usually mean you can have a good idea of what’s stored within. With a rolling cart organizer, you can have a vertical, functional scrapbook storage place where you can store all your scrapbooking supplies readily, great for small spaces. If you’ve been scrapbooking for sometime, you’ll quickly realize that your 12 x 12″ papers are stacking up high. 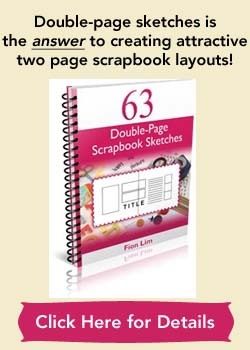 You probably need a way to store and protect your scrapbook paper from being bent and damaged. Stackable paper trays is the answer. Since these units are expandable, you can always add on more units as you filled up your current units. With this clear paper storage device, you can easily view the papers you have on hand. Stackable trays are prefect as it allows the papers to lay flat. Because if you were to store scrapbook paper in a vertical hanging file, the paper might bow unless you compressed them at both sides. Now that you have your papers stored safely, let’s look at how to store your tiny/small embellishments like brads, buttons, snaps, etc. Are your present scrapbooking supplies all over the place and you’re having a frustrating time retrieving whatever that you need? Look into buying one or several divided compartment boxes, depending on the amount of supplies you have. These plastic boxes are usually cheap. You can get them at your local scrapbook stores, craft stores or even online stores. Just make sure each box comes with multiple compartments or drawers to store your various embellishments. Compartment boxes can come in the lay-flat or tower type units. To maximize space, go vertical with the tower type or those lay-flat types that are stackable. Are your journaling pens, markers, scrapbooking tools piling up and out of your easy reach as they get hidden by something else? Wishing that you own a little piece of furniture that houses your favorite scissors, pens, and your most-used scrapbook tools? Either a storage caddy or desktop organizer would be appropriate for this job. These are great at holding a bunch of writing tools and basic scrapbooking supplies, and display them in a way for easy viewing. And they all do look adorable! With this caddy/organizer, you can reach out for your favorite tool in a jiffy and start scrapbooking, instead of searching high and low for that tool. And you can place it right on your table for easy and quick access. For beginner scrapbookers, these suggested pieces of scrapbooking furniture should be sufficient to store all your supplies and help keep your scrapbooking place organized. Should you ever become a serious scrapbooker and own a mountain of scrapbook supplies that need bigger and better storage solution, you can consider investing in a customized large wall unit. It’s professional-looking and a completely customizable storage solution. Happy using scrapbooking furniture to achieve a beautiful and organized scrap space!